Contouring is one of the many beauty trends that has blown up and taken a life of its own. So many companies have contour kits now that it’s hard to keep up. Anastasia Beverly Hills is one of my favorite beauty brands, from her eyebrow products to her eyeshadows and lip products, it just gets better every time. I decided to invest in the creme contour kit because I already own the original powder contour kit and I figured it would be just as good. I put it to the test in this video so take a look if you want to see a demo of how it applies! Packaging: As soon as I got my hands on this baby I couldn’t stop admiring how beautiful it looked. I love that Anastasia decided to leave the front clear so you can see the creme shades. The packaging is so slim and lightweight making it super easy to throw it in your makeup bag or kit. Definitely travel friendly! Consistency: This product is obviously a creme BUT I do think Anastasia could’ve made them a little creamier. 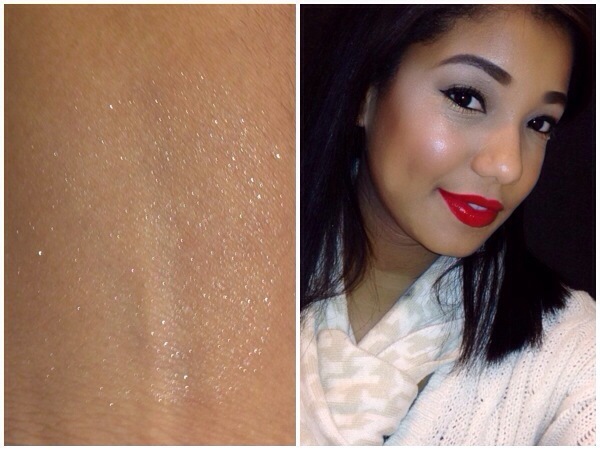 They blend out easily but I had a hard time while applying the actual product to my face. Finish: Anastasia claims that this product is supposed to leave a subtle, dewy sheen but I didn’t really see that after I applied it. I definitely felt like it was a matte finish. It did accentuate and cling on to some of my dry areas so I don’t think I would recommend this to someone with dry skin. Overall: Anastasia did a great job with the packaging for sure. Just looking at it makes you want it, even if you aren’t a fan of contouring. The creme itself is ok. I don’t think I love this product as much as I thought I would. It is definitely creamy (obviously, its a creme product) but I wish it were a little creamier, if that makes sense. 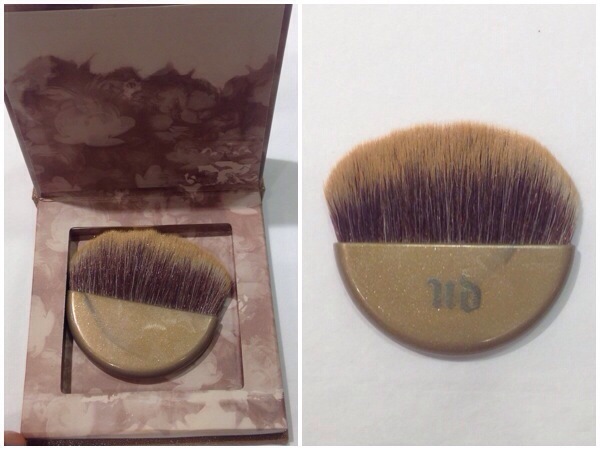 When I was applying it, I felt like it was a little difficult to get the product on to the brush and then on to my skin. If it were creamier that step would’ve been easier. I definitely think you have to make sure you are using brushes specifically made for creme products since like I mentioned before, it is hard to get the product on to the brush and on to the face. Once I went to blend it out, it blended like a dream. I definitely think this is a good kit if you’re a makeup artist because you can replace each creme once it runs out. I will continue to use this creme contour kit, but it definitely isn’t my favorite as of right now. Have you tried this product? What are your thoughts? Do you have any other Creme Contour Kits that you would recommend? We all know without perfect eyebrows, your entire makeup for the day can look a little off. Eyebrows help frame your face and usually they bring your whole makeup look together. I never filled in my eyebrows when I was younger and although it didn’t look terrible, it also didn’t look as crisp and clean as my face does now. Recently, I have been using the exact same routine for doing my eyebrows. I love the way this routine leaves them and I am not complaining or looking to change it up anytime soon. I have a video showing you guys my full eyebrow routine, so check it out if you want to see what I do! The only thing I did not include in that video was my newest favorite little gem. 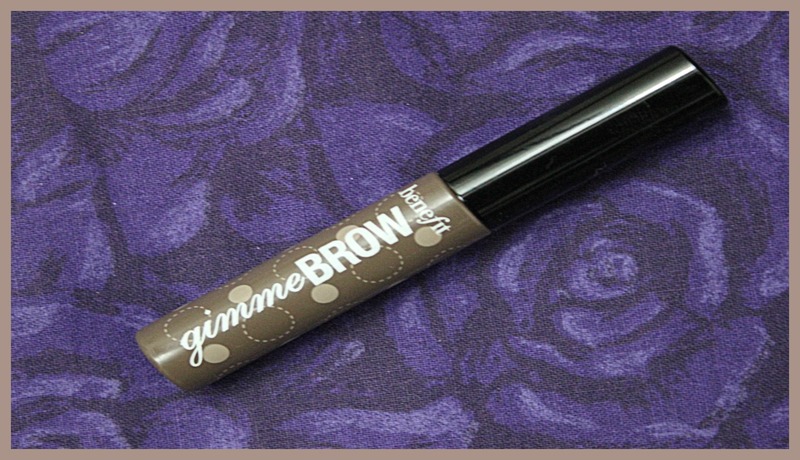 The Benefit Gimme Brow Volumizing Fiber Gel. It’s perfection in a tube. I received this about a week ago from Benefit after winning a contest they were holding with Birchbox. I usually use my Sonia Kashuk clear brow gel and thought that was great, but once I tried this Benefit Eyebrow Gel for the first time, I instantly fell in love. Where Can I Purchase? Benefitcosmetics.com, Ulta, Sephora, Anywhere that sells Benefit Cosmetics. Why I Love It: Since growing out my eyebrows and trying to reshape them, the struggle has been real. They have been a little sparse and a little wild at the same time. This product has definitely helped fill in those extra little spaces that my brow powder and brow pomade can’t seem to get. It also makes my brows look fuller and they stay in place all day long! I seriously cannot rave about this product enough. I used to hear amazing reviews but never tried it because I thought it would make my brows look super dark (since they are already basically black) but the color of this product seriously matches with anyone’s eyebrows. It comes in two different shades but I promise one of those will work for you, whether you have super light hair or super dark hair. Have you tried this product? What eyebrow products do you recommend? Setting my foundation is one of the most important steps for me in my makeup routine. Although I have combination-dry skin, I tend to see a little oil seeping through when I don’t set my foundation. I have been using the Bare Minerals Matte Foundation Powder to set my foundation since I can remember, and I did not plan on parting ways with it anytime soon until I found my new love. I’m extremely picky when it comes to my foundations and my setting powders because let’s be real, the last thing I want to do is look like cake face (and you shouldn’t either). When I saw this powder it was like the angels from heaven were singing to me. Seriously, if you haven’t had a chance to feel this foundation, get in your car, drive to Ulta right now, and try this out. Let’s begin by talking about the packaging. I mean how cute is this little guy? Urban Decay always has cute/edgy packaging, and we all know I’m a sucker for anything cute so it was a must have! It is a clear little bottle with a metal top. When you open the top of it there are a few holes where the product comes out of. The only downfall of this packaging is that there is no stopper for the holes, if you wanted to travel with this product it would probably get super messy! The Bare Minerals Matte Foundation has a little twist cap where you can twist it so the plastic covers the holes (Genius!). 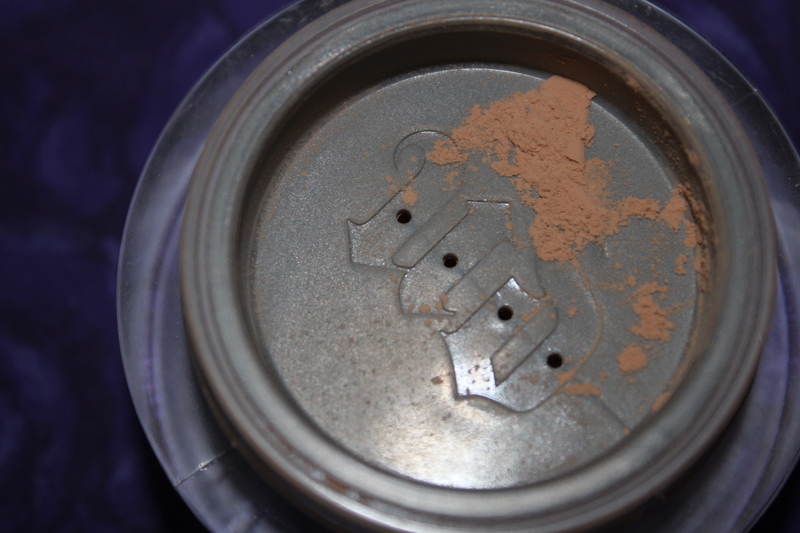 The texture of this powder is simply amazing, for a lack of a better word. Seriously guys, it literally dissolves into your skin. When you first touch it, it has a velvet/soft feel to it and then before you know it, as you rub it in to your skin it just disappears. It is extremely lightweight but is medium/full coverage and it is definitely buildable as well. Although it is a matte finish powder there is still a little dewiness to it, it gives off a subtle sense of luminosity to the skin which for me is Perfect! Ingredients: Silica, Dimethicone/Vinyl Dimethicone Crosspolymer, Ethylhexyl Palmitate, Isoceteth-10, Phenoxyethanol, Sodium Dehydroacetate, Sorbic Acid, Ascorbyl Palmitate. [+/- (All Shades May Contain): CI 77891 (Titanium Dioxide), CI 77491/77492/77499 (Iron Oxides), CI77742 (Manganese Violet), CI 77007 (Ultramarines), CI 77163 (Bismuth Oxychloride)]. Overall Thoughts: Overall, I truly believe that if you try this powder you will instantly fall in love with it! It really does blur flaws, sets makeup, and cuts shine instantly. It is extremely weightless which is amazing because you can wear it over any foundation without it becoming cakey or looking too fake! It really does, looks and feels like what Urban Decay claims. I recommend this 100%, it has become one of my holy grail items! Just like contouring, highlighting should be a very important step in your makeup routine, especially in the winter when your skin tends to look a little dull or even dry. I have been playing around with a few highlighters and some of them were too shimmery or had large chunks of sparkle and did not look flattering on the skin at all! I also noticed that because I have a darker skin tone it was difficult for me to find a highlighter that wouldn’t look “white” or “frosty”. 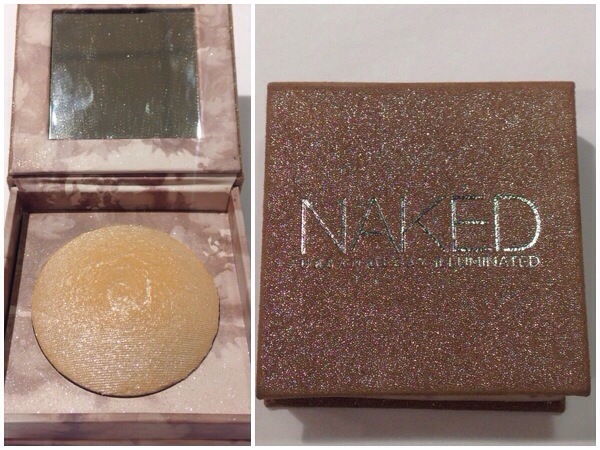 Lucky for me, I was searching black Friday deals and came across this Urban Decay Naked Illuminated Powder! It looked gorgeous, so you know I had to do my research. I googled the product and saw a few reviews and it just made my decision even easier! It was a must have! Once I bought it I just could not put it down and I’ve been using it ever since! It comes in a cute little rose gold-ish box, which I do think is a little bulky for absolutely no reason. (Boo to the bulky packaging UD!) There’s also a decent sized mirror for people who are using this on the go and it also has a small compartment underneath the powder that holds a cute brush. I’m not a huge fan of the brush for this specific product, but I may use it for something else in the future (I like the brush itself just not for this). Ingredients: Talc, Zea Mays (Corn/maïs) Starch, Hectorite, Ethylene/Acrylic Acid Copolymer, Silica, Octyldodecanol, Phenoxyethanol, Methylparaben, Propylparaben, Butylparaben, Tin Oxide. May Contain: CI77019 (Mica), CI 77891 (Titanium Dioxide), CI 77491/77492/77499 (Iron Oxides)]. Overall Thoughts: Honestly, I’m completely obsessed with this highlighter. Not only can you use it for your face but you can also use it on your body to give it a nice natural glow! I would deff 100% recommend this to anyone. It is beautiful, you won’t even believe it until you see it in person! Anyone who really knows me can tell you that my teeth are extremely important to me. I wore braces for about 4 1/2 years which for me felt more like forever and a half. I got them on towards the end of my Sophomore year in High School and didn’t get them off until about my sophomore year in college. As awkward as school photos normally are, for me they were ten times more awkward. I wasn’t sure whether to smile or not, not to mention how insecure I was about myself in general. I always had crooked teeth and I was always made fun of because of them, but I did not expect to feel even worse when I actually got braces to fix them. Well anyway, Fast Forward a few years later and BAM! there I am Sophomore in college, cheesing as much as I could. My new pearly whites were amazing! the only thing was that because I had my braces on for so long, my teeth were a bit yellow. As soon as I left the Orthodontists office I headed straight to Rite Aid and purchased a box of Crest Whitening Strips. They worked great! The only problem I had and still have was the price. For the one box that I had purchased I believe I paid close to $50 USD which to me is a little insane. Since then, I have been searching for an affordable alternative. I used to do the whole baking soda thing, where you add a little baking soda and some water, mix it up, and then basically brush your teeth with that, but my mom had told me to stop doing that becuse I was going to damage my teeth, so I stopped using it. 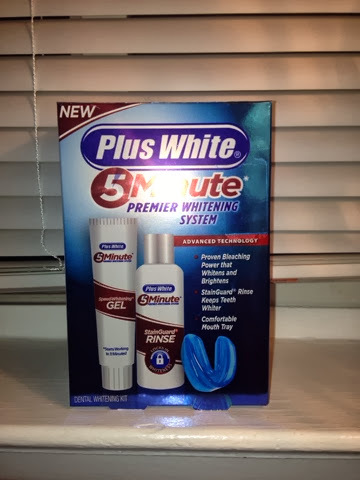 The other day while I was in Wal-Mart I decided to take a look at the teeth aisle and I came across a product that I’ve been seeing much of in YouTube beauty videos. It is called the Plus White 5 Minute Premiere Whitening System. 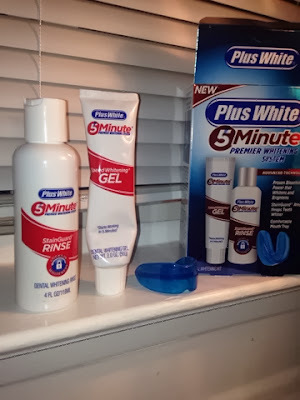 It is the easiest whitening system i have ever encountered and for such an amazing price! If you Compare this product to the price of Crest Whitening strips, it is a whitening system that you cannot pass up. (Love you crest whitening strips buttttt, I am a college student on a budget!) You won’t get the same results that you would get at a doctors office, but for the price it is totally worth it. The system says “results in 5 minutes” but it actually starts to work in 5 minutes so I usually leave it for 10-15 min. You must use it the way it tells you too, twice a day for 14 days to see maximum results, but I seriously saw results in 3 days. I don’t have really bad stained teeth since I don’t smoke and rarely drink coffee BUT I promise you guys it is deff worth a try! It didn’t make my teeth and gums sensitive either which is wonderful! The kit that I have comes with the gel, mouth guard, & a rinse. I have not used the rinse so i’m not sure if that works in particular. Overall Thoughts: The only thing that bothers me about this kit is the mouthgaurd. It is really uncomfortable & I feel like it makes me drool more than normal. You do not have to use the mouth guard, you can just apply the gel with a Q-tip but I am way too lazy for all that. Ain’t nobody got time for that! Other than that, like I’ve said a million times before in this post, I deff recommend you at least try it! Plus, you just cannot beat the price, right? Right.